Yesterday, I spent a couple of hours to extract Circle 2 factory waveforms and create a wavetable for use in Arturia Pigments, since I wanted to recreate my patches in Pigments. 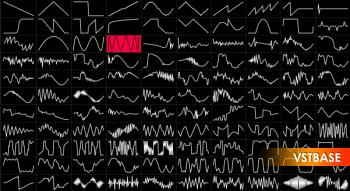 Then I decided to organize them in a way to be used in everyone's favorite wavetable synth. I set loop points with correct tags so you can easily edit the wavetable and replace each cycle. also included is 2 single cycles folder with original 24 bit files and converted 16 bit files so you can use them for iPad apps (like Caustic 3/Nanostudio 2) or a hardware unit which doesn't support 24 bit (like Volca Sample). You might find some of these wavetables similar to factory wavetables of Pigments, Serum, Dune, Massive, Synthmaster, Hive, etc. because almost every wavetable synth released in the past 10 years, uses Galbanum waveforms. map the sample to C3 if they sound wrong. use Shift or Ctrl when you're adjusting the position knob in your wavetable synth for more smoother response!